In order to review, recalibrate my work/life, and give attention to passions I normally don’t pay attention to, I’m taking 7 days off, every 7 weeks. It also helps me to slower my pace, grow my creative juice again and see where I’m at in terms of my life goal. 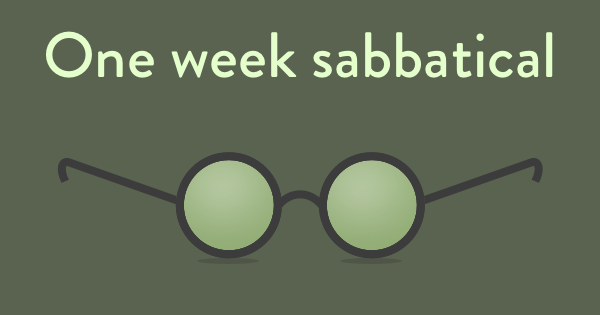 I found out about the one week sabbatical on seanwes, and now I’m making it an integral part of my own lifestyle.